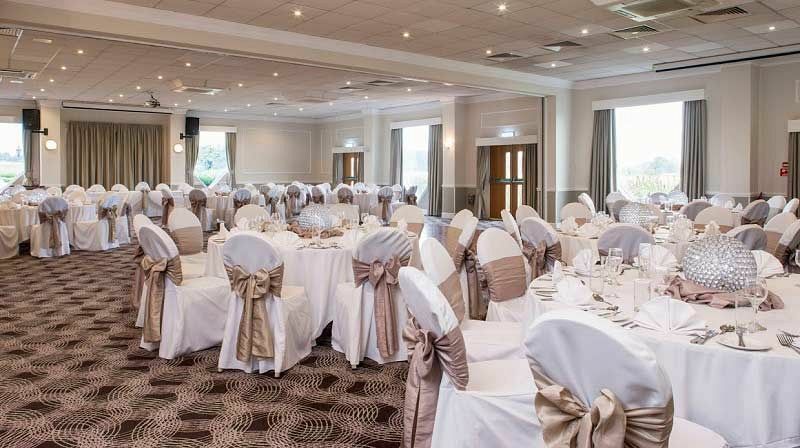 This Christmas, you’re invited to an excellent hotel venue in Coventry, where you and your team will be able to celebrate the festive season with all the fun of this shared party night! The theme for this year is 'Winter Wonderland' with all inclusive drinks. So get ready to indulge in a mouth-watering three-course dinner, unlimited drinks and a fabulous party atmosphere with a DJ and disco where you’ll let your hair down for the evening! Suitable for small to medium sized groups, you’ll join other like-minded party goers with this fabulous evening to experience an exciting Christmas celebration after a long year full of hard work. So whether you’re a group of five guests or 20 guests, you’ll be treated to all the delights of a large scale party night. The dress code for the event is smart/casual, so make sure you leave those jeans and trainers at home and throw on your best party clothes! Guests will be treated to a chilled drink on arrival to start the night off in style - it's the perfect way to start off the night and catch up with your friends and colleagues away from the workplace. Admire the stunning Winter Wonderland theming of the venue as you sip upon your drinks and relax after a long working year. Take your seat for dinner and prepare to indulge your senses in a fabulous three-course meal. There's an excellent choice available, with something that everyone will be able to enjoy. Wine will be waiting for guests at their dining tables to complement their dining experience. Each dish has been expertly crafted on-site by the venue's talented team of chefs, who aim to please with every bite. The All-Inclusive bar opens from 9.00pm and will be serving a selection of unlimited wine, beer and selected house spirits until midnight. After dinner, make sure you hit the dance floor and party the night away to the professional DJ’s top selection of all the latest and greatest tracks, which will be sure to have you moving into the early hours! With various dates available, make sure you book a shared party night at this top venue in Coventry today to avoid disappointment! *Party Menus are subject to change, the decision will be that of the supplier or venue. A menu pre-order will be required for most parties. Your selected group size exceeds the venue's maximum number. Join us on Facebook and Twitter for the latest deals, exclusive offers and corporate event planning tips from the industry's experts.